LG launched its mobile payment service in South Korea earlier this month, which will work with the company's flagship smartphone, the G6. However, in order to further expand the use of LG Pay, the South Korean handset maker has decided to launch two LG G6 derivative models, the G6 Pro and G6 Plus. 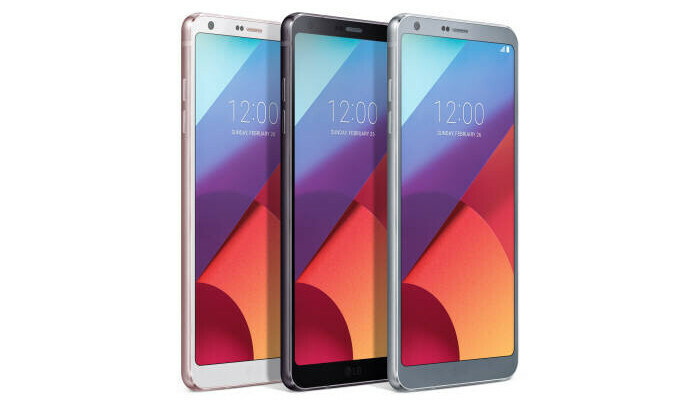 The Korean media reports both will be launched in LG's home turf on June 27 with all three major carriers (SK Telecom, LG Telecom, and KTF) in the countries offering the smartphones. As far as prices go, the LG G6 Pro will be available for purchase in South Korea for around $715, while the G6 Plus model will cost $890 outright. Few details about their specs are available at the moment, but it appears that LG will introduce a new color option called “Astro Black,” which is meant to distinguish these models from the standard G6 variant. LG has used an unusual method to apply this color on the phones so that users will see different tones of black depending on the angle of light rays. We've also learned that the LG G6 Plus will come with 128GB storage inside and wireless charging, which is available for the LG G6 only in the United States. On the flip side, the LG G6 Pro comes with half the internal memory included in the G6 – 32GB. LG has yet to confirm the arrival of the G6 Pro and G6 Plus in South Korea, so it's impossible to say whether or not they will be launched in other countries in the coming months. The naming doesn't make sense. Why does the pro come with lower end specs? Had they launched a G6 pro with an Sd835 6gb ddr4x ram and 128gb ufs2.1 storage in the US, I'd be very interested in it, along with the U11. That would be a difficult choice. It then begs the question: between the Pro and Plus moniker, which one ahould get the better high-end specs I personally think that the "Pro" names is more expressive of higher tier than the "Plus" name, which, sounds like just mere extra features over a base model, rather than a convincing upgrade to the base model of a device. Thanks for the tip, @Melee! "Plus" usually indicates a larger size phone or display, and this is not true. But it's NOT a larger size. It's the same size phone, same size display. "Pro" usually indicates higher specs for people who need more computer power -- more RAM, more storage space, etc. LG has it backwards. Their "pro" version is lower specs than their regular Korea version, and their "plus" should be named "pro". Plus is just larger size and pro more work oriented, apple pencil or keyboard type crap. So technically if we go by precedent the pro should be more high end. But it's NOT a larger size. It's the same size phone, same size display. "Plus" usually indicates a larger size phone or display, and this is not true. "Pro" usually indicates higher specs for people who need more computer power -- more RAM, more storage space, etc. LG has it backwards. Their "pro" version is lower specs than their regular Korea version, and their "plus" should be named "pro". They should make the phone they are calling LG G6 Plus be Snapdragon 835, with increased storage, Qi wireless charging, quad DAC. It's the phone they should have released to begin with! A phone with the best specs!